The Food Rainbow is a new way to see your food, born from analysis of current representations of nutritional data from around the globe: visualizations that are confusing; categorizations that don't make sense; and marketing that obfuscates the truth. Sick of the status quo, we're making simple nutritional transparency accessible to all. 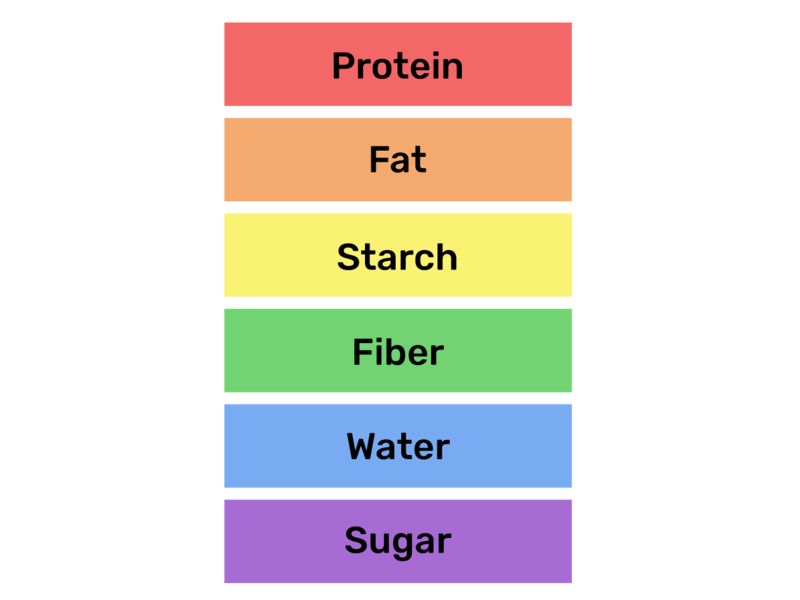 Each color represents one of the six macronutrients that are the building blocks of our foods. All of these macronutrients combined are what gives every food its weight and each plays a distinct role in our metabolism. The Food Rainbow cuts through the confusion to visualize what a balanced diet looks like in a way even children can understand. Nutrition labels are by far the most common way we are exposed to dietary guidelines, but as the product of a bureaucratic process, they are complicated, confusing and definitely not kid-friendly. Sometimes it feels like you need a PhD just to understand them. To help make life simpler, we built an app that translates these overloaded labels. 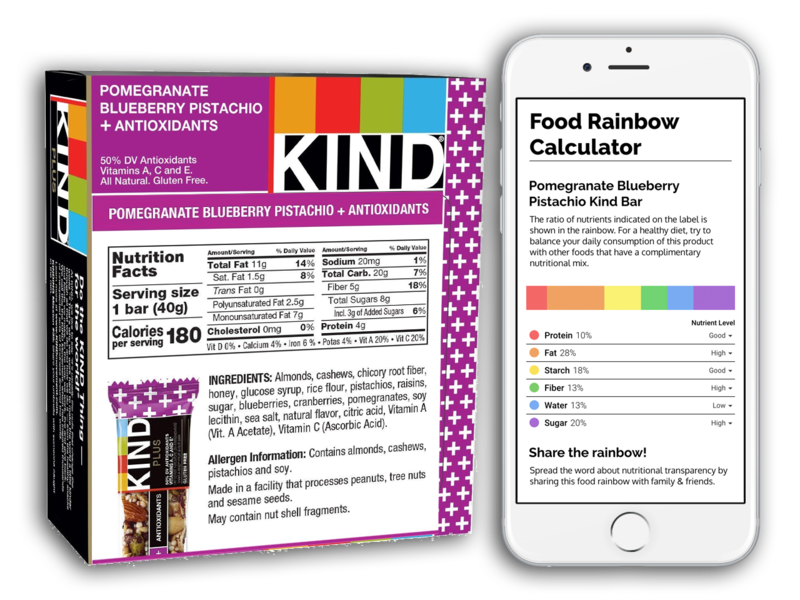 By entering a few key numbers from the back of any package, the calculator instantly shows you the ratio of nutrients that are inside. 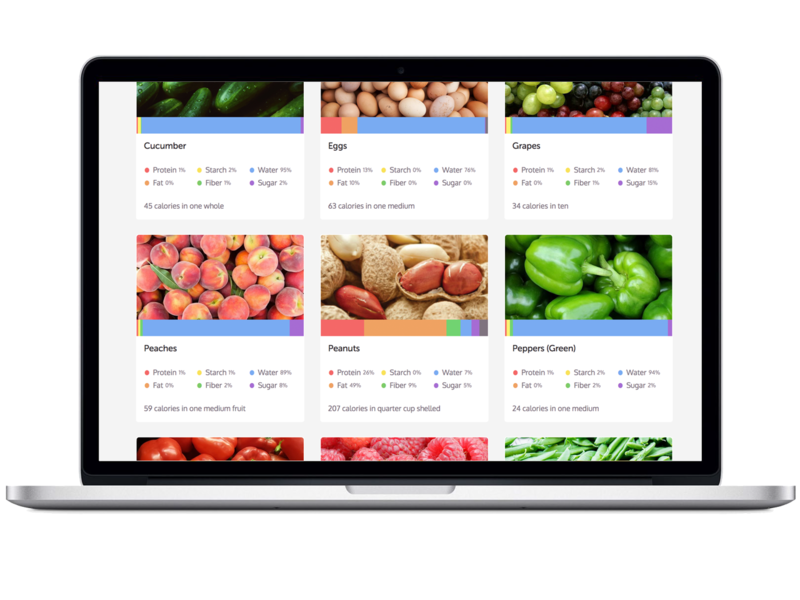 Many of the foods you eat often don't come with a label, so we built a cloud-based engine that can process all sorts of nutritional data. Our backend has analyzed tens of thousands of foods from sources like the USDA, school cafeterias, and even recipes from home cooks. 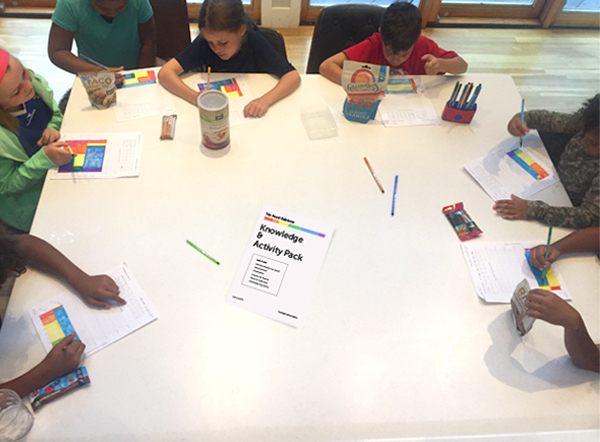 Though you can't search our database yet, families and communities can join our pilot program to get a customized pack of rainbows for the common basic, bulk and staple items in their pantry and fridge. The food industry isn't helping people understand what their choices mean in the big picture of life, so we are. Our objective is to make sure as many people as possible know the facts about how to best fuel their bodies. We've been organizing educational events in our local communities to spread the word about balanced eating and to empower folks to openly discuss the challenges they are facing so we can tackle them together.